The first two dangers were covered in Part One of this series. Now, as to the third danger. Presidents have universally tried to seem friendly and caring toward their fellow Americans. But Nixon and the protesters were separated by too many differences—in their views on sexuality, civil rights, dissent and war—to find common cause. Since taking office on January 20, 2017, Donald Trump has made none. Defended white supremacists who sparked violence in Charlottesville, Virginia. Fired James Comey, the director of the FBI, for investigating ties between his 2016 Presidential campaign and Russian Intelligence agents. Rammed through Congress a massive tax cut for the wealthy, at the expense of ordinary Americans. 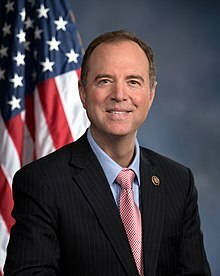 Attacked the integrity of American Intelligence agencies, such as the FBI and CIA. These and other infamous actions have led to only 36% of Americans approving of his performance—while 58% disapprove. Trump’s approval rating is now lower than that of any other President at this point in modern polling at this point. Still, Romney–whose wealth is estimated at $250 million–has had the opportunity to play the role of a patrician in real life. And nowhere was it on better display than during a May 17, 2012 private fund-raising event. And Romney’s comments about those Americans who do not share his wealth-given privileges proved fatal to his Presidential campaign. SENATOR GAIUS GRACCHUS: The Senate’s been in session all day over this business of Spartacus. We’ve got eight legions to march against him and no one to lead them. The minute you offer the generals command…they start wheezing like winded mules…. ROMNEY: The 5 to 6 or 7 percent that we have to bring onto our side—they all voted for Barack Obama four years ago….And because they voted for him, they don’t want to be told that they were wrong, that he’s a bad guy, that he did bad things, that he’s corrupt. While Spartacus and his fellow gladiator/friend, Draba, slash and stab at each other in the arena, Crassus idly chats with his fellow patrician crony, Marcus Glabrus. 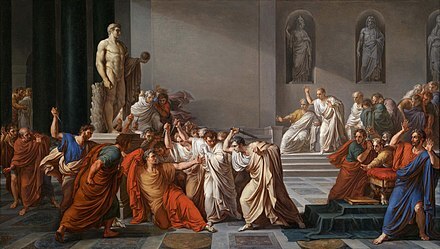 Just as Crassus bought the Roman Senate in Spartacus, so, too, did Mitt Romney and his billionaire supporters try to buy the 2012 Presidential election. Anyone who doubts this need only examine the controversial video of Romney addressing a private fund-raiser on May 17, 2012. The location: The home of controversial private equity manager Marc Leder, in Boca Raton, Florida. True, the Romney Presidential campaign ended in disaster. But that of Donald Trump ended in a victory for plutocrats–of which Trump is one. Thus, the values exhibited by Mitt Romney and warned about by F. Scott Fitzgerald now find their champions in Trump and a wealth-worshiping Congress. ROMNEY: Well, there are 47% of the people who will vote for the president no matter what. All right? There are 47% who are with him. Who are dependent upon government, who believe that–that they are victims, who believe that government has a responsibility to care for them, who believe that they’re entitled to healthcare, to food, to housing, to you name it. But that’s–it’s an entitlement. And the government should give it to them. And they will vote for this president [Barack Obama] no matter what.